RED was not my favorite color for the most of my life. Unconsciously I avoided it in my clothes and in my art. For me, growing up in Russia, RED had the direct association with the state. RED was a weapon. It was the communist propaganda in action: the color of the state flags on the mandatory May-Day parades we had to attend since the early childhood, the color of the banners crisscrossing the streets and snaking around the street lamp poles on the state holidays. Only RED. It was everywhere. You couldn't escape it. I learned to hate it. For some reason my very first “red pioneer tie” survived. At school I was told that it’s my very own‚ “piece of the red flag” and I have to cherish it. I remember ironing it every day before school and cutting off the loose threads off the edges. In time this red silk triangular lost all its political meaning. Wearing it every day to school was the part of my life then, as well as my dad’s razor and his old mesh shopping bag, which he had in his coat pocket every time he stepped out of the house, just “in-case”. Or as my grandma’s old tiny scissors or mom’s gold watch, her only treasure, which she wore only on holidays. To me, born only a decade after the Second World War had ended, even my dad’s war medals were not the history yet, but a part of life. Red tie appears in each photograph of the series as a connector between me and my loved ones, between past and present. 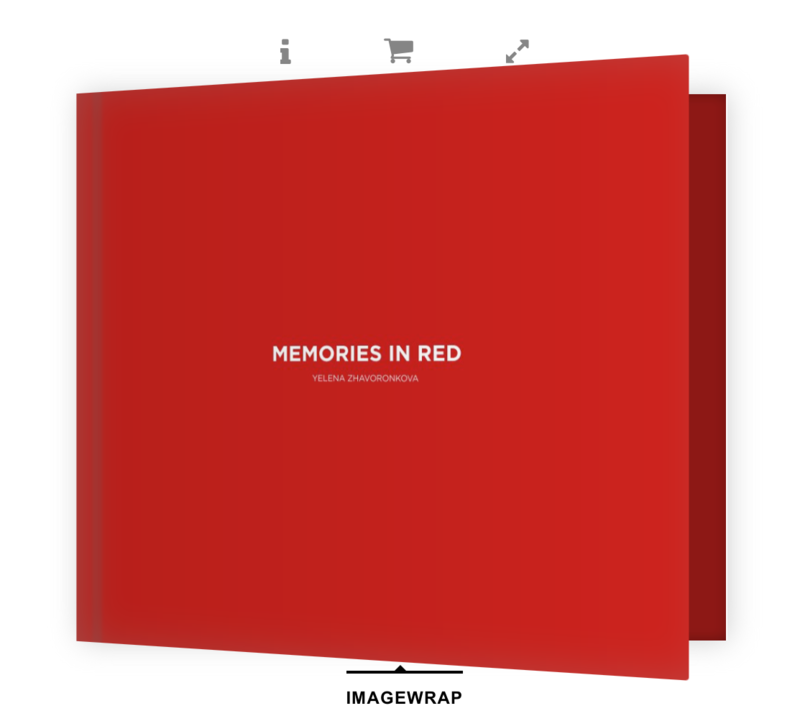 Working on the “MEMORIES IN RED” series I found myself at peace with RED. Finally. The series is dedicated to the memory of my family.